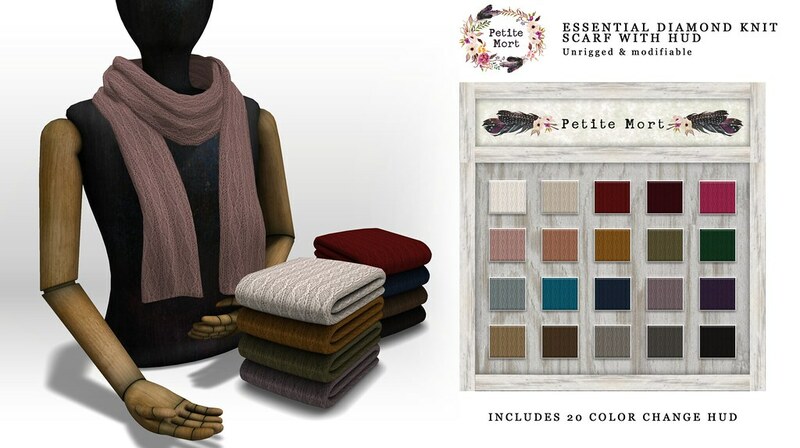 Petite Mort- Essential Diamond Knit Scarf | Teleport Hub Live! PreviousLUXREBEL Matte Lipsticks & Diana Eyebrows [CATWA] AnyBODY. NextPo^Z Bento - Behind the Glasses!